The Ministry of Agriculture and Rural Development has approved a project on sustainable management of protected forests using ODA loans from the Japanese government. The project has a total capital of over 123 million USD, of which 99.7 million USD comes from Japan and the remaining capital, contributed by the Vietnamese side. 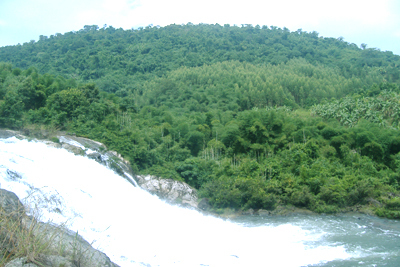 Forty three management boards for protected forests in 11 central and southern provinces from Thanh Hoa to Binh Thuan will implement the project from 2012 till 2021. The project will help plant nearly 18,000 ha of upstream forests, improve the quality of 2,690ha of existing forests and put another 34,437ha under protection. It will also help improve the capacity of local authorities and farmers in forest management, equip target localities with fire fighting equipment and build establishments to help local people to earn a living from forest.